Your Beldray mop works hard to keep your house sparkling, so help it to work at its best by replacing the mop head every so often. 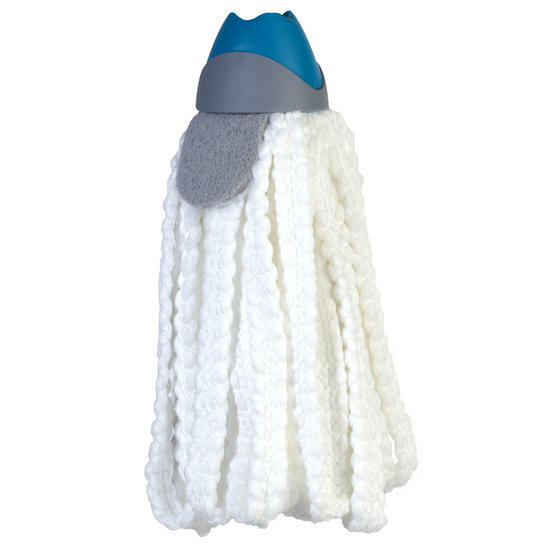 This mop head is highly absorbent, machine washable and has a stain remover strip for any hard to clean spills. Made from durable but soft polyester, it is suitable for use with the LA026392 Beldray Telescopic Microfibre Mop which has a telescopic extendable handle and can be used with no chemicals so you can clean efficiently and hygienically on any hard floor. This highly absorbent mop head is for use with the LA026392 Beldray Telescopic Microfibre Mop, to make it feel like new. The microfibre mop head is made from millions of fibres for chemical-free cleaning with brilliant, streak free results and no residue.